Game engine Frostbite 2 was built for the next generation, EA has said. 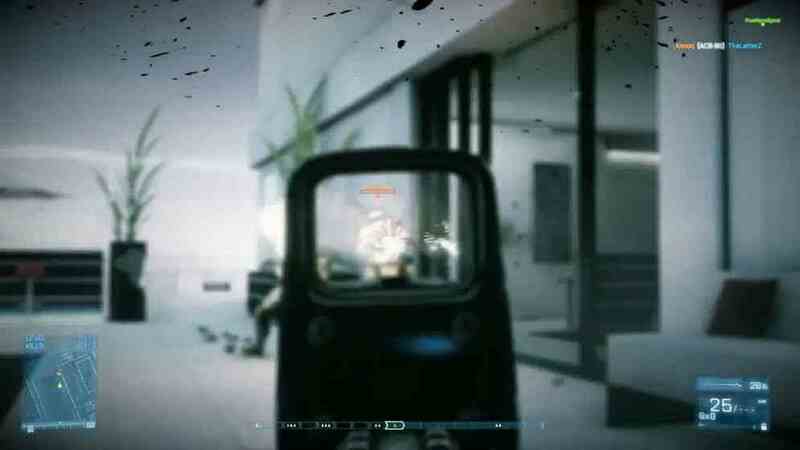 The eye-catching tech, used to power last year's FPS hit Battlefield 3, makes EA confident in its ability to manage the upcoming console transition, EA Games label executive Patrick Soderlund told Gamasutra. "Yeah, I'll be honest with you - Frostbite 2 was built for the next generation," he said. "That's how we started it. We had that in mind and we said, 'We're going to have to build something that can scale.' It doesn't mean that what you see in Battlefield 3 is the end state. That's the beginning; that's where we start and then we go forward. But we have a tech base that makes me feel really confident in how we're positioned for what's going to come in the future." DICE's Battlefield 3 was the first game built on Frostbite 2 to launch, but the engine was used to build last year's Need for Speed: The Run, and it will be used in this year's Medal of Honor: Warfighter and next year's Command & Conquer: Generals 2. Explaining the decision to use Frostbite 2 for Medal of Honor instead of Gears of War maker Epic's Unreal Engine, which was used for the last Medal of Honor game, Soderlund said EA does not force its internal development teams to use its flashy tech. Other benefits include the ease with which teams can transfer resources between each other if they're using the same engine, Soderlund said. Now, thoughts turn to the future of Frostbite and in particular DICE. With the PS4 and the next Xbox expected to launch late next year, will Battlefield 4 be a next generation title? In November 2011, hot on the heels of the launch of Battlefield 3, EA's Frank Gibeau was quoted as saying: "There is going to be a Battlefield 4." And on the eve of Battlefield 3's launch, DICE told Eurogamer it was the Swedish studio's hope that it would one day get the opportunity to make Battlefield 4. "This feels like day one now," executive producer Patrick Bach told us. "It's exciting. The whole Frostbite 2 thing has opened up a big landscape ahead of us so we can do whatever we want." But will Battlefield 4 launch for this generation of consoles, or the next? What we do know is the PC version of Battlefield 3 offers us a glimpse what gamers can expect from the next-generation of consoles. "If anyone would build a new console today, that would be the result," Bach said. "At least. Probably more, because it's classic PC technology. We know everything about multi-threading now. We know everything about multi-graphics card solutions now. If someone built a console where the specs are that or more, we have the technology to do something. We could port the game to that console tomorrow."